AOL announced today that it is permanently closing down AOL Instant Messenger after 20 years of service. This iconic chat service was once very popular in early 2000, but with so many easy to use chat software out there, AIM users reduced. In a statement issued on Twitter, AIM says – all good things come to an end. 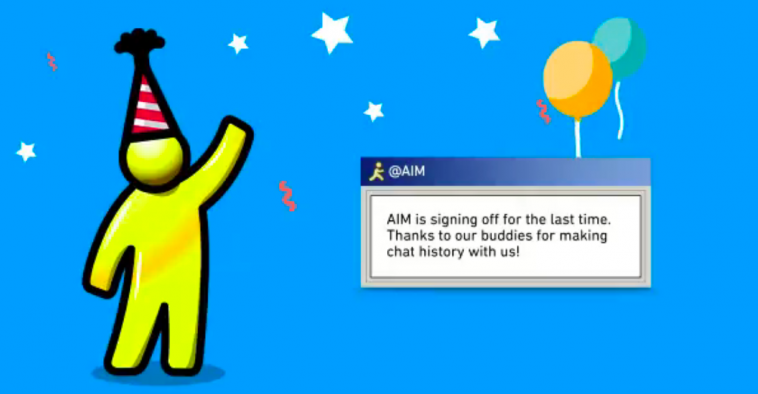 We bid farewell to AIM. Thanks to all our users. Really not sure how many people will miss this chat service. Recently, we did not come across anyone talking about this AIM. It is sad to see a piece of history shutting down after 20 years. AIM will officially close on December 15, 2017.